One Owner, Local, Trade-in, Non-smoker, Ex-lease, Low Mileage, Air, Tilt, Cruise, Power Windows, Power Locks! 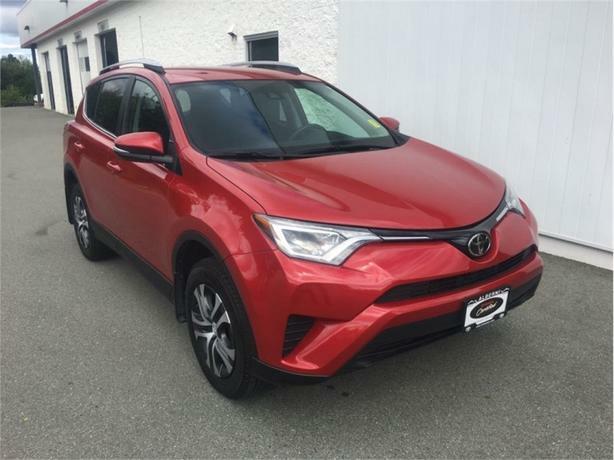 The 2017 Toyota RAV4 is designed to help you make the most of every moment thanks to its responsive handling, striking sporty design, and a premium interior that features state-of-the art features. The dramatic and sporty exterior design will captivate you from headlamp to tail light. The spacious and versatile interior features premium materials and a long list of intuitive technologies for driver and passengers alike.This low mileage SUV has just 28600 kms. It's red in colour and is completely accident free based on the CarProof Report. It has an automatic transmission and is powered by a 176HP 2.5L 4 Cylinder Engine. This vehicle has been upgraded with the following features: Air, Tilt, Cruise, Power Windows, Power Locks, Power Mirrors, Back Up Camera.